Why Is Team-Building Considered A Utopia? Many entrepreneurs tend to blame others for their own failure. 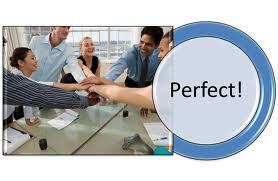 They seem to look for quick fixes that will straighten up their teams and help them work better together. A client of mine asked me for a team building exercise thinking a few days with his team working together will fix his problems. To his dismay, I helped him discover the root cause of his problems: a lack of direction and clearly articulated values. Changing the behaviours of his team was going to change the symptoms without getting to the root cause of why those behaviours existed in the first place (the illness). By simply attempting to replace a “bad behavior” with a “good behavior,” we create a temporary fix for the symptoms, but the illness continues to exist. This can only mean that at some point, symptoms will start to pop up again. In a competitive business environment, effective leadership is an essential inachieving organisational goals. To do this, leaders must be able to provide inspiration, passion and clear direction to their team. What makes a leader inspirational? The ability to inspire people to reach great heights of performance and success is a skill that leaders need. Passion, purpose, listening and meaning help make a leader inspirational. Being to communicate that passion, purpose and meaning to others helps establish the inspirational culture for your business. Great leaders have a passion for what they believe in. They are zealous and easily excited about the sources that drive them. Think about something that you are passionate about. Ask yourself if you have the desire to lead others in regards to the things that you are most passionate about. You might discover some hidden potential once you start asking yourself the right questions. If your goals are not aligned with your business, you may find that you’re chasing an impossible dream, something that’s not entirely feasible. You will feel scattered and will very quickly drop the idea of setting goals. Leaders have vision. They share a dream and direction that other people want to share and follow. The leadership vision goes beyond the written organizational mission statement and vision statement. In short, you cannot fix your team. What you can do is polish your leadership. Doing this will inevitably help you build a better team. If you are a small business and would like to stop losing time and money on future hiring mistakes, tweet me on TWITTER, like me on FACEBOOK join me on LINKED IN – and let’s talk.